"We're very fortunate that Typoman's concept has been well received so far"
There are a number of promising games on the way to the Wii U eShop, though not many are exclusives. Typoman is an exception, then, and has a promising concept. Included in the [email protected] demo range earlier in the summer, we all had a chance to see how platforming and word forming can combine into a puzzle experience. Impressions were, overall, rather positive. It's an intriguing title on the horizon, then, and with a planned release in the coming months we thought we'd catch up with the developer to learn more. HeadUp Games - an extremely active publisher across platforms - is helping bring the game to Wii U, but we spoke to Bilal Chbib, the CEO of the game's developer - Brainseed Factory. 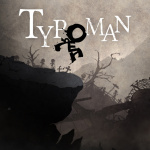 We discuss the long development period of Typoman, building a relationship with Nintendo how the game will utilise the GamePad. First of all, can you introduce yourself and explain your role in the development and planned release of Typoman? My name is Bilal Chbib and I am the Founder & CEO of Brainseed Factory. We're a team of six currently working hard on the release of Typoman within the 3rd quarter in 2015. Let's start off with the origins of this game: at what point was the concept conceived for Typoman? Late 2011 my day-to-day work was creating commissioned mobile apps to finance my office and employees, our dream however was to create our own unique games - so we kept brainstorming and discussing ideas. One of many ideas was using letters and words as gameplay elements and visual tools. Zein, my Game Designer, was tasked with creating some ideas for puzzles and Arton, who later joined the team as a 2D Artist drew some amazing concept arts. Between each iteration of concept evolution and development a great deal of time went by. While the initial idea was Late 2011, the final concept arts for Typoman and a full fledged game design document were not ready until Mid 2012. 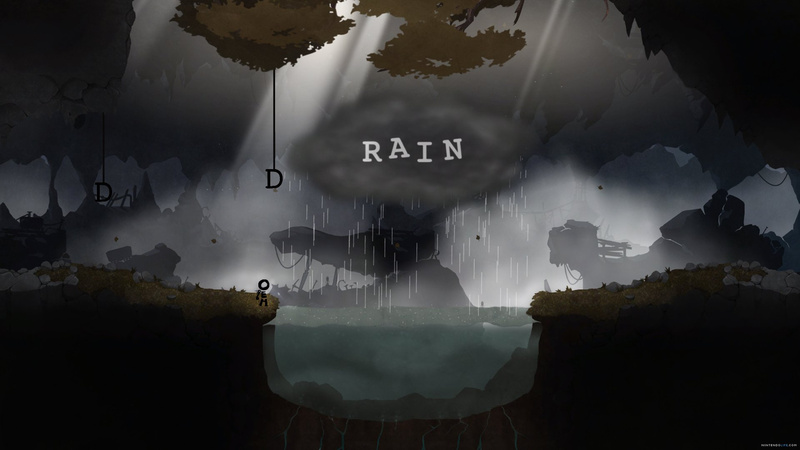 Late 2012 we created the Rain-Drain-Puzzle concept video trailer which became the basis for a prototype version we started creating early 2014 and showcased at Gamescom in Cologne. Though word games with a twist are popular, it's a fairly under-utilised area; do you agree with that, and why? I don't know any games like Typoman where letters are gameplay objects and living characters. I agree using words in games the way we do it is under-utilised, but I'm not sure if such games are (or can become) very popular because of the lack of reference games. We're very fortunate that Typoman's concept has been well received so far but still - when I think of word games I would normally think of Scrabble-like or crossword solving games. I'd be very happy of course if Typoman's success sets off an avalanche of games of the same kind. Blending a platformer adventure with puzzle aspects like these drives a slower tempo in gameplay. Is this a puzzle game with some running and jumping thrown in, or are you aiming for more of a hybrid experience over the course of the full game? There are tons of puzzles that did not make it into the game - because we picked only the best ones. Hybrid experience fits the description - there are some hard, fast-paced and time sensitive situations in the game, but there are also many mind-bending puzzles where you need to come up with the right words to advance. Is it particularly difficult to construct the puzzles in Typoman, or does it come naturally to the team? One of the reasons why the concept phase consumed a great deal of time is also the difficulty of challenging puzzles which have to improve, become more challenging and remain interesting over the course of the game. There are tons of puzzles that did not make it into the game - because we picked only the best ones. I am also very grateful that I have a really diverse team - each one of us argues from a different perspective and has his own way of finding games enjoyable. That did help a lot! Moving onto Wii U, at what point did you start to explore the possibility of bringing Typoman to the eShop? In 2012 I was at GDC in Europe and there was a large sign at a Nintendo booth asking indie teams to create games for Wii U using Unity. I left my business card there and was contacted after the event by someone and exchanged some mails with him regarding the concept of the game. And that was great, because he really took his time and discussed the concept of Typoman in detail with me, though I didn't have much at that time. I was only equipped with a couple of concept arts and puzzle ideas, so I promised to get back to him once I have a playable prototype version ready. How has the experience been with Nintendo, overall? I've been at various conferences and events, talking to all kinds of people from the industry. But the best experience really was with Nintendo. Everyone is friendly, funny and down-to-earth, passionate about games, and their support was great and totally reliable. You secured a slot in the [email protected] E3 promotion. How significant a boost was that for you, and how did it come about? The [email protected] promotion was a tremendous boost for the popularity of Typoman, especially the opportunity to showcase the game at Treehouse Live. You can tell that when friends you didn't hear from in quite a while suddenly contact you because they heard about Typoman and read your name or saw you in a stream or in a YouTube video. How would you describe the reaction from Nintendo gamers to the Typoman demo? Fortunately very positive. I believe real Nintendo fans are used to being surprised with experimental and innovative game concepts - and I believe Typoman blends in very well. Our decision to focus exclusively on Wii U is based on an intuition, which again is based on preceding chats with Nintendo and an evaluation of their ongoing approach to indie games and teams. Do you consider the eShop to be a potentially successful platform, commercially, or were other factors (such as prestige, exposure) at the core of your decision to release on the store? Can't say due to lack of experience with the eShop. Our decision to focus exclusively on Wii U is based on an intuition, which again is based on preceding chats with Nintendo and an evaluation of their ongoing approach to indie games and teams. So far I am more than happy about this decision! Are there plans for any GamePad-specific features in Typoman? Yes, there are 3 important ingame features that will use the touch screen functionality of the GamePad. Can you tell us a little about these GamePad features? 1) The "Wordscrambler": When you approach a group of letters you will be able to use the Wordscrambler to rearrange them using the touch capablity of the GamePad, so you simply drag and drop them into the right order. Though it can be fun in the beginning to pull, push and throw letters to craft new words, it will become exhausting after a while ...and with longer words even a bit nerve-racking. The Wordscrambler will allow you to try out multiple words in a shorter amount of time and is therefore a very essential feature. 2) The "Hint System": There are some pretty challenging puzzles in Typoman - all in English. As you can imagine, this game cannot be translated into other languages, because language is the major part of the gameplay and the design of the game itself. To compensate for that and other facts there is a three-step hint system on your GamePad which will help you figure out the solution word in case you get stuck. 3) The "Letterpress": In some puzzles there will be "letter printing machines". When you approach such a machine, a selection of letters will appear on the second screen which you can tap to have them produced. This is also a great help to not confuse players with additional overlays with controls & stuff on the TV screen. In terms of the visual style, you've got an interesting blend of simplicity in the main character and relatively detailed environments. You mentioned Unity earlier, so how has that engine worked for you? Yes, we're using Unity, although for a game like Typoman you can't really profit a lot from all the advantages a framework like Unity offers. We're still very happy about that decision, especially with regards to the simplicity of 2D animation workflow. Is there a release date and pricing in mind yet? Release date will hopefully be in the 3rd quarter as planned. There are however some technical issues that we need to address and solve before releasing. 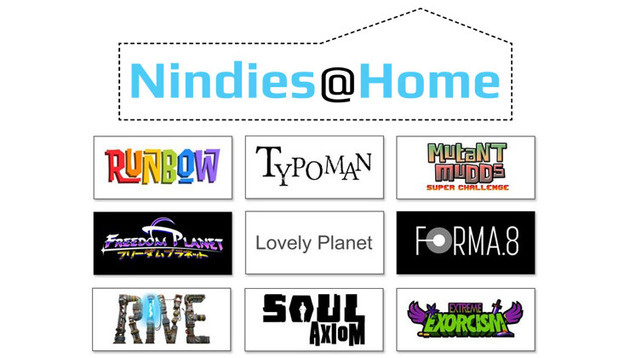 Pricing will be in the typical range of comparable indie titles, but I can't say anything specific yet. Is this an IP that you hope to continue in the future, should Typoman be a success, or are you planning to move onto other concepts? We're already working on a totally new game concept, but we also have a couple of ideas for a Typoman sequel (or maybe prequel?) as well. As you stated, it largely depends on the success. Finally, are there any particular messages you want to share with our readers? We have put quite a large amount of time in Typoman's concept, design and underlying (multi-layered) story. Everything you see is there for a reason, and we're really looking forward to browse through comments and threads to see if and what you will conceive and deduce from what we've planted there. We'd like to thank Bilal Chbib for his time, and to publisher HeadUp Games for assisting with the interview. Sounds like a great game, can't wait to play it! I hope I don't get let down by Typoman like I did Freedom Planet. Tried to play this on Sunday, but the game just wouldn't launch (Nindies preview). I will try again now, though. Treehouse Live demo sold me this game. I also have tried the demo a few times, altough it's the same that was played at E3. The demo takes a long time to boot, though. @Sakura When I started the Typoman demo I thought something was wrong too but it just takes a while to boot up. Takes even longer to boot if you don't bother looking at the tv where the instructions to proceed are... Too used to using the gamepad only. Having "hate" as the instrument of decapitation was brilliantly grotesque. The demo was really promesing. Easily one of my most hyped eShop games right now.